AI is becoming increasingly relevant in the modern world where the ecosystem is driven by technology and data. AI is used extensively across many fields such as robotics, computer vision, finance, and so on. 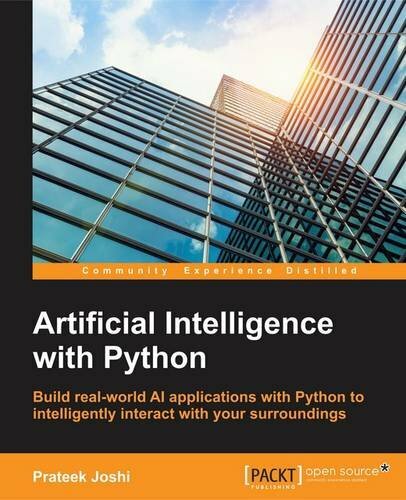 We will explore various real-world scenarios in this book and you'll learn about various AI algorithms that can be used to build various applications. During the course of this book, you will find out how to make informed decisions about what algorithms to use in a given context. Starting from the basics of the AI concepts, you will learn how to develop the various building blocks of AI using different data mining techniques. You will see how to implement different algorithms to get the best possible results, and will understand how to apply them to real-world scenarios. If you want to add an intelligence layer to any application based on images, text, stock market, or some other form of data, this exciting book on AI will definitely guide you all the way!